No matter how bad of a day you think you're having, someone's officially having a worse one, because comedian and The League star Steve Rannazzisi lied about being in the towers on 9/11, according to the New York Times. The comedian admitted to his lie in a statement on Sept. 16. Oof. 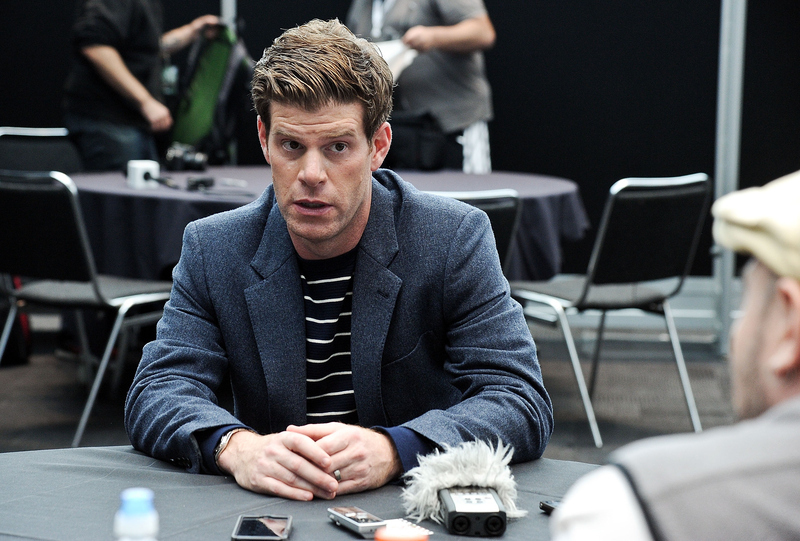 Rannazzisi has said that it was his proximity to the destruction on Sep. 11, 2001 that convinced him to move to Los Angeles and pursue his dream of working in comedy, a story he now admits was almost entirely fabricated. I'm feeling the beginnings of a shame spiral just typing this, but for over a decade, Rannazzisi has claimed that on that fateful day in 2001, he was working for Merrill Lynch on the 54th floor of the south tower, and felt from his office the collision of the first plane with the north tower. In a 2009 interview with Marc Maron for his WTF podcast, which was more aptly-named than we could have realized at the time, he stated, "I was there and then the first tower got hit and we were like jostled all over the place." He then claimed to have made his way down to the street, escaping his own building just moments before the second plane crashed into it. I was not at the Trade Center on that day. I don’t know why I said this. This was inexcusable. I am truly, truly sorry. As he says, he was not able to offer a reason for the initial falsehood, but says he clung to the story because he didn't know how to reverse what he'd done. For many years, more than anything. I have wished that, with silence, I could somehow erase a story told by an immature young man. It only made me more ashamed. How could I tell my children to be honest when I hadn’t come clean about this? It was profoundly disrespectful to those who perished and those who lost loved ones. The stupidity and guilt I have felt for many years has not abated. It was an early taste of having a public persona, and I made a terrible mistake. All I can ask is for forgiveness. But while it's a relief to hear Rannazzisi contrite after all these years of lying about being on the scene of a terrorist attack, this wasn't the only lie he told that day. He also claimed that his then-girlfriend, now-wife, worked on the 24th floor of the south tower, but had been late and blessedly didn't make it to work that day. Except whoops! Not quite! As Rannazzisi's publicist clarifies, Tracy Rannazzisi was supposed to work as a temp that day, but at the nearby World Financial Center, not in the twin towers. At least the guy came clean, but I still feel sick to my stomach. Update: Rannazzisi also tweeted his apologies and a plea for forgiveness after his statement went public.